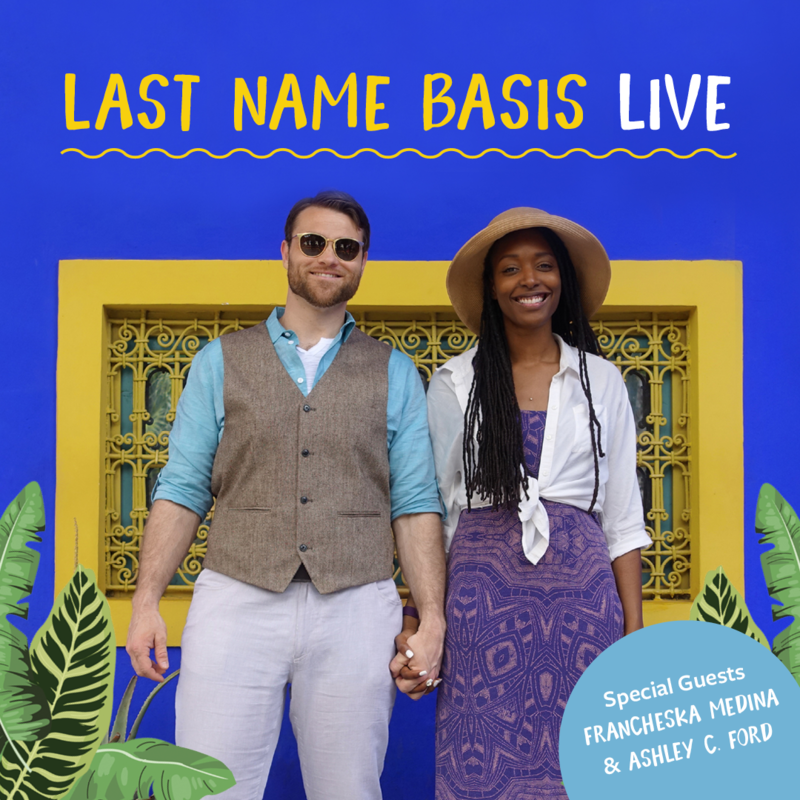 BRIC Radio proudly presents a live podcast taping of Last Name Basis, featuring YouTube sensation and writer Franchesca Ramsey and her husband Patrick Kondas! Home / Events & Performances / Last Name Basis, Live! BRIC Radio will proudly present the second live taping of its favorite couplecast, Last Name Basis. Hosted by husband and wife team Franchesca Ramsey and Patrick Kondas, Last Name Basis is a bi-weekly podcast that covers everything from what’s going on in the world to what’s happening in their lives as a married couple. Ramsey is an actress, activist, comedian and video blogger who spends way too much time on the internet; Kondas is an attorney and aspiring ukulele master who loves to cook. Join them for an unforgettable night of laughs, stories, and surprises! Featuring special guests Francheska Medina of Hey Fran Hey and Ashley C. Ford of 112BK!